Please provide your e-mail address, and we will send you a confirmation link. Click on the link, and in a new e-mail we will send you your login information. Signing up to the newsletter I agree that my personal data is handled by the company. Successfull registration! Please open your mailbox! Hight-value equipment delivered to you free of charge. Convection oven, loading capacity: 4 x (600x400) or GN 1/1. 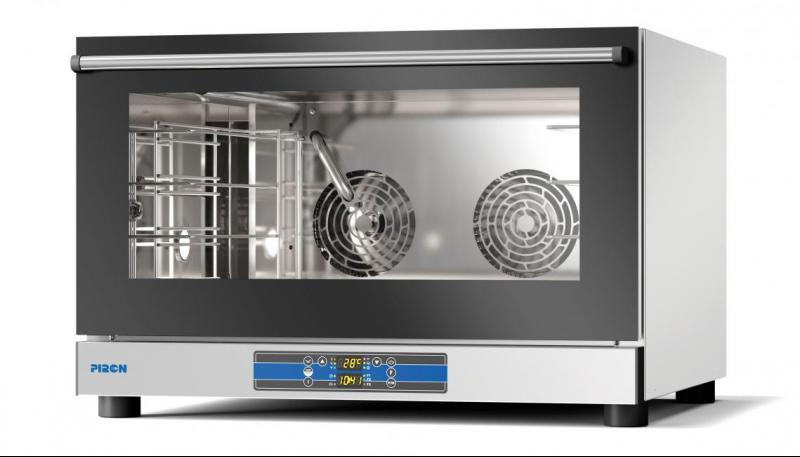 Oven is equipped with digital timer, digital temperature controller, manual humidity control, memeory for 99 programs, 2 pcs high speed motors with reversing gear. Subscribe to our newsletters for fresh news, discounts or offers!